Armed police, firefighters, and ambulances were called to respond to a crash outside the Houses of Parliament, according to the Metropolitan Police. In a statement, Scotland Yard confirmed that a male driver was arrested on suspicion of terrorist offences at the scene, after a car crashed into the security barriers in Westminster. London Ambulance Service also confirmed they had taken two people to hospital, though no one is believed to be in a serious or critical condition. In scenes like these, where members of the public are injured in suspected acts of terror, it’s often down to the emergency services to keep the public safe – as well as working to prevent any attacks or accidents happening in the first place. 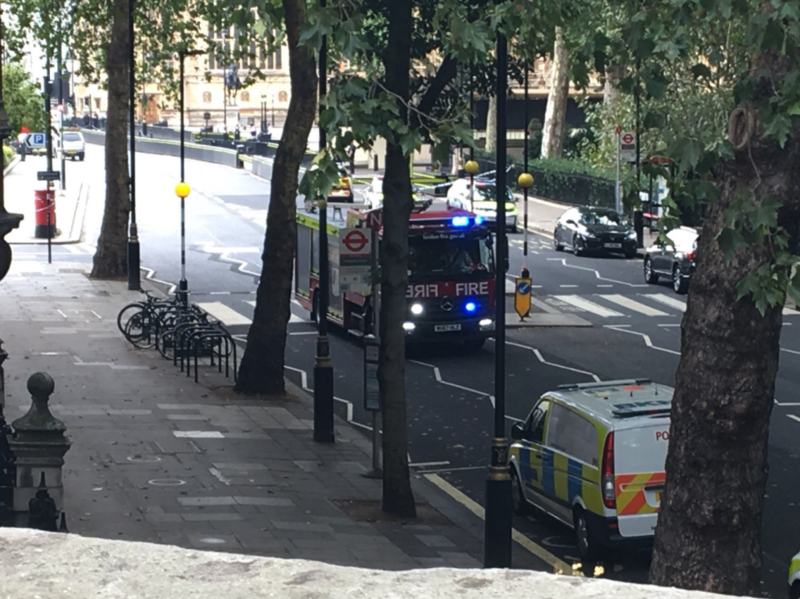 Access to healthcare is a huge part of this, with both Mayor of London Sadiq Khan and Home Secretary Sajid Javid praising the first responders who were on the scene so quickly. I’m in close contact with @MetPoliceUK Commissioner about the incident at Parliament Square. Thank you to the first responders who were on the scene so quickly. As well as the individual doctors and paramedics who provided vital treatment on the scene and in hospitals, the Government also has both a moral and human rights obligation to make healthcare available to all. While details of this incident remain unclear and investigations are likely to continue for months, it’s the police who work day to day on preventing possible attacks, with many today praising their “courageous response” and commitment. As the United Nations Human Rights Office recognises, terrorism aims for the “destruction of human rights, democracy, and the rule of law”. This means states have a duty to protect us and take effective counter-terrorism measures, as part of our right to life. In reality, this means police and other emergency services are the ones putting their lives on the line – something which should never be forgot. "Their pain and trauma is no less and they deserve the same care and support"